John J. Boyd, 59, of 37 Lathrop Ave, a veteran of the First World War, was taken ill while working at the Kellogg Co., and died shortly afterwards at 9:45 a.m. Saturday in a local hospital. Mr. Boyd had been a Kellogg employee since 1919. He was born in Big Lake, WA Jan 9, 1891, a son of Louis [sic] and Clara Boyd, and came to Battle Creek in 1919, less than a year after his discharge from the Army. He was married to Maggie M. Simons here on June 14, 1919. He enlisted in the army in April, 1911, and saw service on the Mexican border before World War I, in which he served as a second lieutenant in the infantry. Mr. Boyd was active in the Maple Methodist church, serving on the church's official board. He also worked with the Boy Scout troop sponsored by the church. 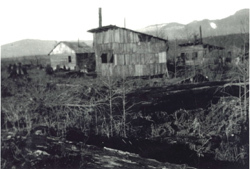 Mr. Boyd is survived by his wife; a son, Lewis W. Boyd of 169 Redner Ave; eight sisters, Mrs. Grace Pape and Mrs. Mabel Steen of Concrete, WA; Mrs. Nellie Gilda of Bellingham, WA; Mrs. Margaret Conlin of Puyallup, WA; Mrs. Gertrude Jackman of Seattle, WA; Mrs John Johnson of Albuquerque, NM; Mrs. Georgian Knighten of Portland, OR, and Mrs Annie Hoyt, living in Wash. state; and three brothers, Archie Boyd of Seattle, WA; Norman Boyd of Rosburg, WA, and James Boyd of Portland, OR. John J. Boyd, born about 1893, was raised by his mother’s friend and her husband, Mary and Lincoln Savage. 1 Sadly, when John’s mother died in 1897, John was only 4 years old. His father, Lewis, had to put the younger children in relatives’ and friends' homes while he got different jobs in the area, then left and looked for jobs in Seattle. John’s sister, Mabel, six years old when their mother died, grew up with their older sister, Mary Olive, who married John Johnson December, 1897. 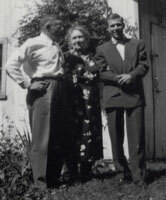 Lewis remarried, to a Mary Lou, and they lived in Seattle, with John. A 1910 Federal census 2 of Seattle, King County, finds Lewis, his second wife Mary Lou, and John J. Boyd, age 16. Lewis was a pulley builder, and John was a furrier apprentice. The family story says that John left home for the Southwest, apparently in his late teens. First, he became a cowboy, and then he joined the Army, according to his son, Lewis. As a cowboy, he rode horses and possibly used a gun– good preparation to serve in the U.S. cavalry! According to John’s War Record, 3 he was born January,1891. There is confusion over when John was born. No official records of his birth have been found; birth records weren’t required in Washington until 1907. 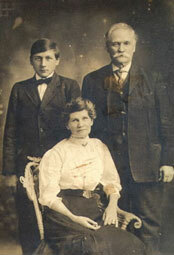 John’s siblings all believe Mabel was born in 1891, and John in 1893. All the documents found on John, including Army and social security, say 1891. John is found in the Federal Census of 1900 for Skagit County, Washington 4 as "John Savage," born 1895, with Mary and W.L. [Lincoln] Savage. Mary had no children of her own; either they were guardians for John or they adopted him. They may have guessed that John’s birth date was 1895 because he was small for his age. In the 1910 census mentioned above, he was born in 1894. The most credible date is 1893. John enlisted in the U.S. Army April 14, 1911,5 at Ft McDowell, on Angel Island in Marin Co., California. His records show his service in two different units: Troop G of the 7th Cavalry (made famous by General Custer), April 14, 1911 to Sept. 5, 1917; and Co. A., 330th Machine Gun Battalion, Sept 10, 1917 to April 14, 1918. He also "entered Mexico March 15, 1916." His honorable discharge was Sept 15, 1918. The U.S. Army recruited cowboys to join the Cavalry units, since cowboys were skilled in horsemanship. The U.S. had cavalries (posted at Ft. Huachuca) guarding the border from 1911 until the end of World War I, 1919. During the War, they watched for German and Mexican saboteurs. A German-instigated clash between American and Mexican troops in the border town of Nogales in 1918 resulted in the death of five U.S. soldiers. It is likely that John was first trained, perhaps in Ft. Riley, Kansas, or Ft. Huachuca, Arizona, and then performed border duty. Originally, the U.S. cavalry troops were used in the U.S.- Indian wars in the West, until the late 1880s. In 1895, the U.S. went to war with Spain over Cuba and the Philippine Islands. After refusing to give the Filipinos their independence, the U.S. was faced with insurgency until about 1917, with 6000 American soldiers killed. The 7th Cavalry was in the Philippines from February 1911 to February 1916. They were posted at Fort William McKinley in Rizal Province, next to Manila. There they drilled, trained, and did guard duty when there was no military action. They were also in Camp Stotsenburg, just north of Manila, where they practiced rifle firing, revolver firing, and estimating distance drills and combat firing. For a training example, "On March 13,  the 7th Cav., fully armed and equipped for the field and with its transportation, marched 10 miles north to Bamban, Tarlac Province, halted an hour, and marched back to the post." 6 Several times they marched in tropical heat to fight insurgents, but little happened. In Mexico, following corrupt dictatorships and failed reforms, an era of revolutions developed. In 1911, Mexican bandits, led by the famous revolutionary Pancho Villa, began staging raids on towns in Texas and New Mexico. This prompted deployment of the regular cavalry force, 15 regiments, to guard the border. Civil war broke out between President Venustiano Carranza and Francisco Villa in July, 1914. By October, the U.S. recognized Carranza as president. Villa directed border incursions into the U.S., and on March 15, 1916, after Villa’s lethal attack on Columbus, New Mexico, General "Black Jack" Pershing led several thousand cavalrymen into Mexico in pursuit of the bandits. Operating from horseback, the cavalry was the only force capable of piercing the desert's harsh terrain. Pershing was barred from using major roads or entering any Mexican town, and ordered to cooperate whenever possible with Mexican government troops, many of whom were sympathetic to Villa. In addition, the U.S. wasn’t prepared for this incursion, and supplies were very short. The punitive expedition was successful in destroying the bandit's base of strength, but they never found Villa, who was a master of the local terrain. Ultimately, the expedition served primarily as a training exercise for the U.S. Army, which would soon be dispatched to France. It was also noted as the last large-scale military operation of the U.S. cavalry on horseback. John Boyd served in Troop G of the 7th Cavalry, under Col. James B. Erwin. 7 John entered Mexico March 15, 1916, according to his papers. 8 He was a sharpshooter and an excellent horseman. A captain in the 7th Cavalry 9 wrote that Pershing pushed them and the horses unmercifully in his drive to catch Villa. The 7th Cav. participated in the battle of Guerrero, southwest of Mexico City, March 29, 1916. After riding all night, a forced march of 17 hours, the cavalry negotiated deep arroyos down to the valley, surprised the Villistas, and killed 30 or 40, only to learn that Villa himself had escaped. The Cavalry engaged with bandits at Santo Tomas, south of Ensenada and Tijuana, Apr 27, 1916. At some point in his 1 ½ years there, John received a gunshot wound in his left thigh. After leaving the 7th Cavalry September 5, 1917, he went into training as a machine gunner on September 10, and became a member of the 330th Machine Gun Battalion in the 170th Infantry Brigade of the 85th Division. He was promoted to 1st Sgt. April 20, 1918. The 85th Division was trained and stationed in Camp Custer (also named after General Custer), which was five miles south of Battle Creek, Michigan. Most of the men in this camp came from Michigan. This is how John became familiar with Battle Creek, and returned to settle there in late1918. The 85th Division of the National Army was sent to France in July and August, 1918. Parts of the 85th went to Siberia, and the rest of the 85th became the Fourth Depot Division. Depot divisions were used for supply, engineering, communications, etc. and not combat. There is no evidence that John Boyd went with them to France. Instead, he was transferred and promoted to 2nd Lt. in Camp Hancock, in Augusta, Georgia, June 17, 1918. John was honorably discharged September 15, 1918 as 1st Sgt., Machine Gun 2nd Company, Central Machine Officers’ Training School. He was discharged as a non-commissioned officer in order to accept a commission as 2nd Lt. Infantry U.S.A. 10 Hence, John became an Army commissioned officer. He then assisted in training new gunners there. 11 Machine gunners were in high demand then, as they suffered a high mortality rate in the War. 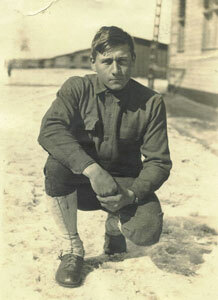 John was honorably discharged from service at Camp Wadsworth in Spartanburg, South Carolina in December, 1918. 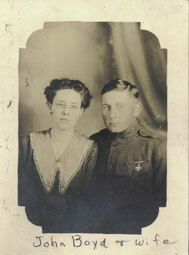 On June 14, 1919, he married Maggie Simons in Battle Creek. He found a job with the Kellogg cereal company, and they had one child, Lewis, in January, 1927. 1-Lincoln and Mary Savage cared for John. Lincoln was a brother of George Savage, who married Ettie, a sister of Clara Torrey, John’s mother. 2-1910 U.S. Census, King Co., 9th Ward, Seattle, Series T624, Roll 1661, pg 134, obtained by Dan Royal. 3-War Record #225, Calhoun County, Mich., copy from Lewis Boyd. It has personal record (birth, parents), war record (Camps, promotions) and family record (marriage). 4-Savage household, 1900 U.S. Census, Skagit Co., WA, ED 195, sheet 15, series T623, reel 1749. 5-Serial no. 2016287. Enlistment Record, stamped Camp Hancock, Sep. 1918. Copy from Lewis Boyd. 6-Returns from the US Military Posts, Camp Stotsenburg, P.I., Jan 1909-Dec 1916. National Archives, M617, reel 1232. 7-Donald Smythe, Guerrilla Warrior (NY: Charles Scribner’s Sons), p. 224. 8-Enlistment Record, Camp Hancock, Augusta, GA, Sept. 1918. 10-per letter of September 9, 1918 from Q.M.C. #210.1. 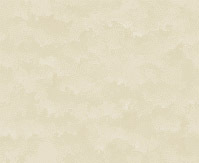 11-War Record, Mich.Dept of .State, Lansing, Mich.